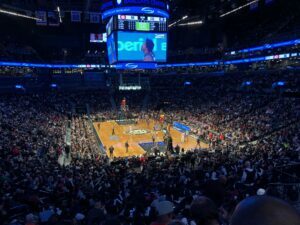 The Brooklyn Nets beat the Atlanta Hawks 144 – 127 at Barclays’ Center on Dec. 16 at 3 p.m. Families from our school were on hand to cheer them on. 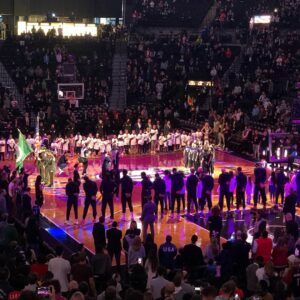 As part of a special Anthem Buddies program, some of our students were able to stand on the court during the National Anthem and got high 5’s from the players as they left the court. Thanks to Joe Peng and the PTA EB for helping arrange and organize such a fun afternoon!